A Cool Metal Roof Offers So Many Advantages! Residential Renovation metal roofs typically last 40 years or more, meaning that it’s probably the last roof you have to put on your home. That is why we are noted for ONE AND DONE Roof Solutions! Our roof panels are coated in Cool Roof colors and allow for significant savings in energy costs. They consist of 25-35% recycled materials, are virtually 100% recyclable and help reduce air pollutants. 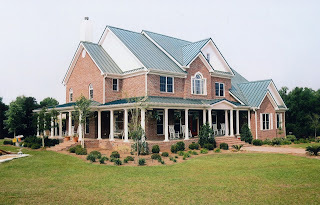 Call now at 419-691-3300 for more information and special 2017 metal roof manufacture pricing for new roof replacements or visit our website at www.ResidentialRenovations.com to learn more about all the metal roof advantages!